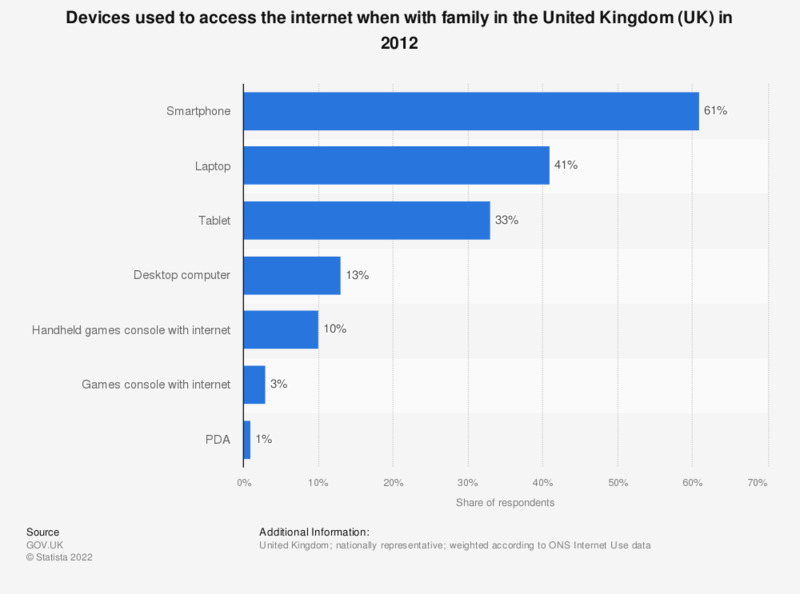 This statistic displays the devices used to access the internet when with family in the United Kingdom (UK) in 2012. In 2012, 61 percent of respondents reported accessing the internet on a smartphone when with family. Have you ever experienced problems with accessing online content or applications because your mobile internet connection had insufficient download capacities or was too slow?